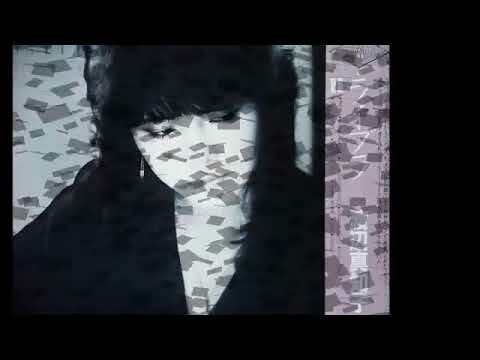 I can't remember whether Akina Nakamori（中森明菜）has ever written or composed any of her own songs, and if so, whether they have been featured in "Kayo Kyoku Plus". If that isn't the case, then Ms. Nakamori may be the non-songwriting singer in the blog who has the most number of entries here at 74 including this one that I am about to go into. But again, I'm not 100% sure. As regular KKP-reading folks may already know, I think I'm more familiar about Akina's 80s discography than I am with her music going into the 90s and beyond. So it's been some exploration even at this late date into her discography approaching the end of the 20th century. Just by happenstance, I came across this tune, her 39th single from December 1999, "Trust Me". My overall impression is that the singer has often gone to the Latin rhythms to express herself in voice and dance even from her time in the 80s, and "Trust Me" has that same feeling. Written by Seriko Natsuno（夏野芹子）and composed by Kazuhiro Hara（原一博）, the song flies by at a pretty intense pace, and I'm not sure whether Nakamori had ever performed this on TV or in concert, but I couldn't imagine her staying still behind the mike for this song. Some serious choreography would have been placed on her shoulders and her backup dancers. Strangely enough, the overall arrangement by Ikuro Fujiwara（藤原いくろう）has me thinking "The Rose of Versailles" set to a disco beat. In the context of the song, Nakamori's protagonist was trying to be somewhat standoffish to cover up her excitement at hearing the voice of her old flame over the cellphone once more, but in the next line, it seemed evident that he wasn't buying the cold shoulder. However, when I think of the singer's appearances on the various music ranking shows back in the 1980s and her recent appearances on TV such as the Kohaku Utagassen, I'd always had the impression that there was a translucent barrier between her and her ardent fans. I mention translucent since although I could get the overall appearance and demeanor, there was something that was off in the distance with her that led to something that wasn't perfect clarity. Even watching her "Bitter & Sweet" concert on VHS all those years ago, I also got that feeling. Unfortunately, I never got a chance to attend any of her concerts or her more recent dinner shows so I'm not sure how she truly is in front of an adoring crowd but if any Akina fans here have had the pleasure to see her, please let us know. "Trust Me" peaked at No. 57 on Oricon and was also placed on her 19th album "will" which was also released at the same time as the single. The album got as high as No. 52. J-Canuck, how’re you? I’ve been busy again after my vacation. I’ll be back to Toronto in Xmas though. We should get together then. Trust Me was released during the darkest days of Akina. I thought ni I saw someone mentioned that the single only sold 4000 copies! Akina wrote some of the lyrics of her songs. Days and Wasurete immediately comes to my mind. She also collaborated with someone on the lyrics of Heartache in her single DIVA. She used a pen name, Miran:Miran. I am not aware of her writing any song. Doing well here and quite busy. Yup, the Holidays will be open for me so we gotta try Kingyo for dinner and then maybe the new Santouka for that creamy ramen! Only 4000 copies for "Trust Me"? Then, it did quite well on the Oricon rankings, considering.